Early modern England: whose skills were applauded? 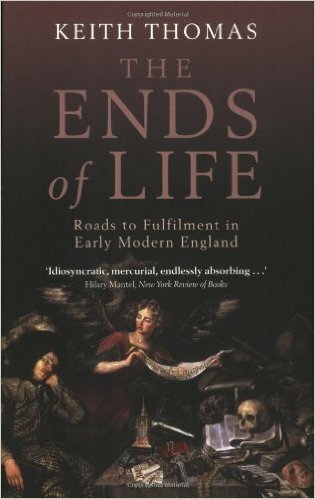 I’ve just read Keith Thomas’ The Ends of Life: roads to fulfilment in early modern England, about what people valued during the early modern period (that’s 1530-1780, for those who like me need a definition). KT provides a glorious stream of quotations on 6 areas where people might have sought fulfilment – wealth and possessions, fame and afterlife, honour and reputation, and so on. One of the areas is ‘work and vocation’, and this chapter provides nice insights into the division of labour. “Some occupations were thought to be unmanly because they could equally well be performed by women: brewers, bakers, and cooks all suffered from this stigma.” I wouldn’t have thought of brewing as liable to be undermined in that way. ‘Though many female occupations, from midwifery to embroidery, were technically demanding, women were less likely to be applauded by contemporaries for their skills and dexterity than were men. Public and professional life, business success, technical know-how and hard manual labour were all seen as intrinsically masculine.” (p105). It would be great to see a chart which covered occupational esteem and rewards over a few centuries, and matched that to the gender profiles of the occupations.